Big Brother 19 (BB19) continues tonight with the Candy Crush competition for the next Head of Household (HoH). Cody complains that him and Jessica were blindsided by the rest of their alliance as they voted for Jillian to leave instead of Christmas. Paul is happy everything is such a disaster as people are happy, sad and losing it. Mark admits that he voted for Christmas but they have no idea who switched sides. Jessica is arguing with Christmas and she tells Jess to get out of her face when she continues to call her a coward. Cody is pissed off and sure that Josh is a liar and a snake; he confronts Josh who shouts back that he shouldn’t grill him as he doesn’t know him. Kevin and Jason separate Cody and Josh from fighting. Christmas is determined to find out who the other 3 were who voted for her to be evicted as she knows one is Jessica for sure. Jason finds his 3 tickets first, but he misses everything and begins to search for more tickets. Alex is next and doesn’t get the sugar shot either. Kevin and Jessica the same; Jessica frets that she has a target on her back and the only person who is on her side is Cody. Everyone begins to hand Paul all the tickets so he can perfect his shot and make sure he gets the HoH; Mark passes him one too clearly drawing the line in the sand with Cody. Paul has his first 3 tickets and misses; Kevin tries next but isn’t worried, feeling whoever wins the HoH won’t put him up on the block. Jessica worries that everyone is giving Paul their tickets and its all up to her to save herself. 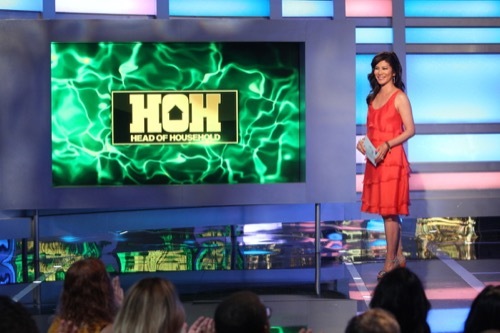 Paul wins week 2 HoH!! He thinks the win was pretty sweet but revenge will be even better. Cody is sour faced worrying that he needs to win the Power of Veto (PoV) in order to save himself from eviction. Paul promises Christmas she is staying as she is a warrior and they both are after the same targets: Cody and Jessica. Cody and Jessica don’t regret anything but he is very cynical about Paul pitting them against each other. Cody feels Kevin was true to his word and voted out Christmas; but Kevin plays along as he says Christmas is his friend and makes him breakfast so why would he evict a woman like that? Jessica and Cody confront Ramses insisting he flipped and voted for Jillian to go home; but he says they are stupid as he wouldn’t have voted his best friend in the house to leave. Cody doesn’t want to talk game with Ramses, calling him a snake as he leaves. Josh enters the Have Not’s room, trying to be cordial with Cody but he tells him to grab his stuff and get out. Cody can’t stand Josh as he acts like a constant victim and is a traitor. Josh tries to talk to Jessica who tells him to have the courage and testicles to talk to her; she says he is like a little girl when he asks to talk to her. He attempts again and she stomps out saying she can’t listen to him lie to her face one more time. Cody jumps on the bandwagon telling him he sounds like a pouty child that sits and cries all the time. Josh tells Cody “God bless you” and leaves the room after Cody tells him to not talk to them any more. Josh comes into the room crying, Raven comforts him while Dominique tells him he can’t respond at all and there are some people who will hold his emotions against him and reassures him Cody and Jessica don’t have the numbers behind them. Paul sits with everyone telling him the agenda is to remove Cody who betrayed the entire team. He says Cody is a hot head and that was his mistake. Paul comes out asking who wants to see his HoH room; when he goes up, everyone comes upstairs to see it except for Jessica who goes to the diary room to complain about not wanting to see his room. Cody comes in and looks miserable at everyone with his arms crossed. Paul reads his letter from home as everyone claps with happiness; Cody walks out clearly angry. Paul wants to put Matt and Raven up as pawns on the block, which will allow them to partake in the PoV competition; he wants Matt to win the PoV taking himself off the block and replacing him with Cody as no one will vote to evict Raven. Matt is willing to do it but Mark feels its not the best option and walks out of the room. The TV lights up and announces its time to return to the Den of Temptation; all the house guests sit in the living room. Paul tells everyone they will enter the Den one at a time and one of them will be tempted, but the temptation will release a consequence on the house if accepted; Paul is unable to receive another temptation. Ramses, Matt, Alex, Jason, Raven, Dominique, Mark, Elena, Kevin, Josh, Cody and Jessica are not chosen; Christmas is the one chosen, if she takes the Ring of Replacement she can play in any one veto competition of her choice this summer. She can choose to replace one of the players but in only one game. The consequence for taking the temptation is she must curse 3 of her house mates by turning them into Vee-Toads for the week. She has to pick 3 voodoo dolls of who she chose and throw them into the cauldron and they will learn their fate later. She chooses Jason, Cody and Jessica. Now that the Den of Temptation is done, several house guests are nervous about the consequences. Paul worries that if Cody or Jessica gets the temptation it will screw up his plans, Christmas smiles. Mark appreciates that Paul wants to put up Raven and Matt, but he feels it is an unnecessary risk right now. Paul agrees that he doesn’t want to put up his own people and Mark suggests putting up Alex; he is confident with his plan but needs to rethink things to make his people comfortable. Paul goes up to his room to think and Alex visits him where he tries to convince her to be on his side and help him blindside Cody this week. He has every intention of back-dooring Cody, suggesting putting Alex and Josh up on the block. She respects him for speaking to her first and agrees its a good plan. Paul talks to Josh trying to convince him to be a pawn so they both can get sweet revenge on Cody. Josh is nervous about it, but Paul promises to make sure Josh doesn’t go home as Cody is his target. Josh agrees. Week Three’s Den of Temptation is the Halting Hex, American viewers are encouraged to vote for the house guest they want to receive this but remember a house guest can only be tempted once in the show, so choose wisely! Back in the Big Brother house, Ramses is fretting about his curse from the Den of Temptation. He has to put himself up on the block within the next 3 weeks. He knows Cody and Jessica are bigger targets and isn’t sure if he should put himself up this week or not. Paul calls the house guests revealing its time for the nomination ceremony. Paul is about to announce the nominations when Ramses interrupts him saying the previous week in the Den of Temptations, he was bitten by the snake and received a nomination curse. He is choosing this ceremony to put himself up as the third nomination and if he wins in the PoV, he will be removed and no one will replace him. Paul locks in his nominations as Josh and Alex; Cody shakes his head in anger. Paul says he chose Josh as he is a bit of a wild one, calling him “meatball” like 30 times. Alex he chose because she hasn’t taken the time to make a genuine connection with him. He adjourns the nomination ceremony. Cody knows that Paul’s nominations are BS and he plans to backdoor Cody. Paul worries that Ramses will screw up his whole game.